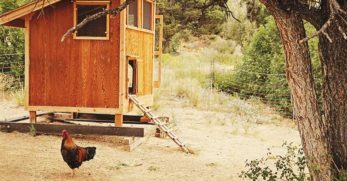 If you are new to the idea of homesteading, you might be wondering what you should consider raising on your land. 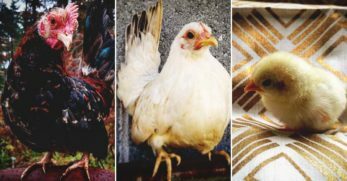 Some choose the basic farm animals to raise while others take a more exotic approach. Researching the needs of each animal is always the best place to start. Raising livestock always has a learning curve but the more knowledgeable you are the better that curve will be to you and your animals. 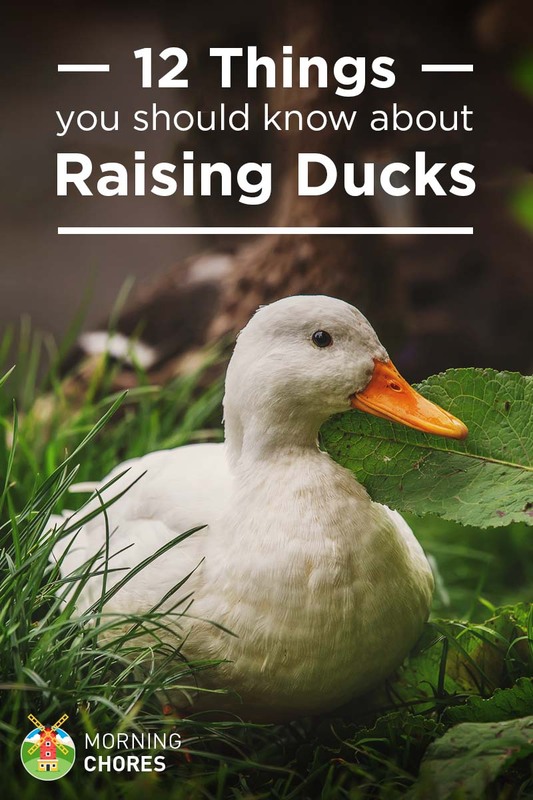 Pekin Ducks are the easiest animals to raise. They are a great source for meat and large eggs. They also require very little space. They have a bigger appetite than chickens but are great foragers as well. You can get by with building them a small house and giving them a kiddie pool to swim in, and they will be extremely happy. Pekins are great helpers around the garden. They do not scratch the ground like chickens so they are kind to your plants. They will eat your weak rooted plants and keep the bugs off of your healthy ones. 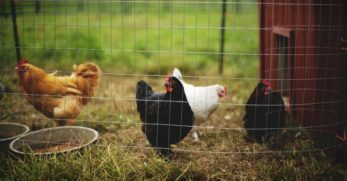 They are friendly animals and are a great addition to a larger farm or your backyard. 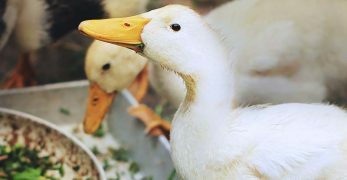 The only caution with ducks is they are larger, slower birds so they are weak to predators. Hawks and dogs are their biggest threat but with proper fencing they should be well protected. Rabbits are great additions to any homestead. 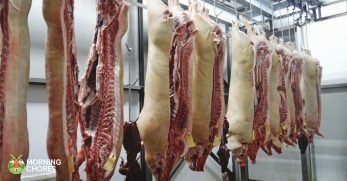 They are a great meat source, cost very little to feed, and take up very little space. Rabbits’ gestation period is about one month. They often have 6+ in a litter, and their babies can be culled at 8 weeks so it is a fast meat supply. 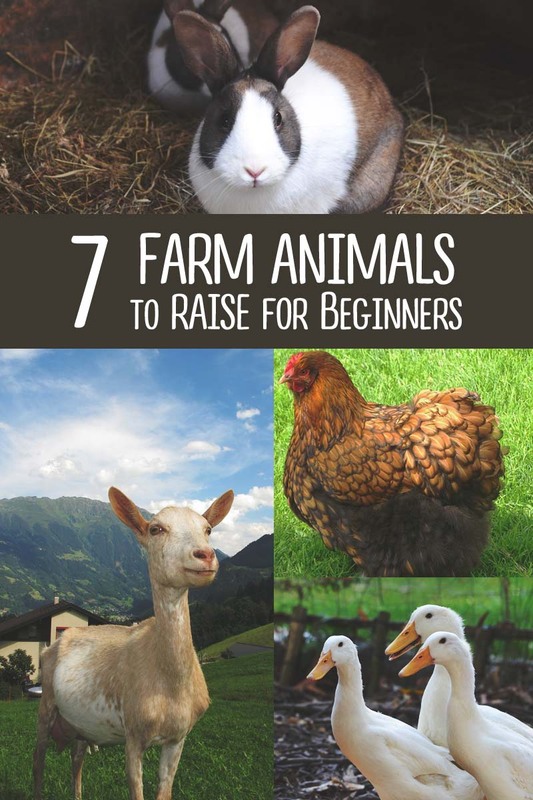 They can be fed store bought feed, fodder, extra veggies from the garden, weeds and grass clippings, and hay. Rabbits are also great for your garden because they produce some of the most amazing fertilizer. Rabbits do usually require hutches. They can be built for very little cost or purchased. Some choose to let their rabbits free range in a bunny tractor for protection. You may also choose to raise your rabbits in a colony setting. Their housing obviously has many options that can cost as little or as much as you choose. 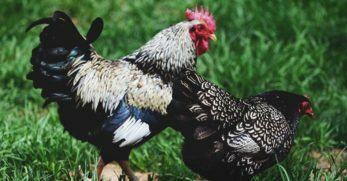 Chickens are a commonly raised farm animal because they are multipurpose animals. They are a great source of eggs, meat, and fertilizer. 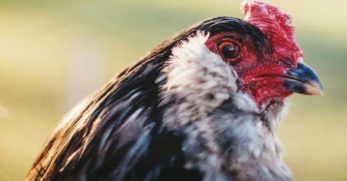 Chickens require about 4 square feet of space per hen in the coop. 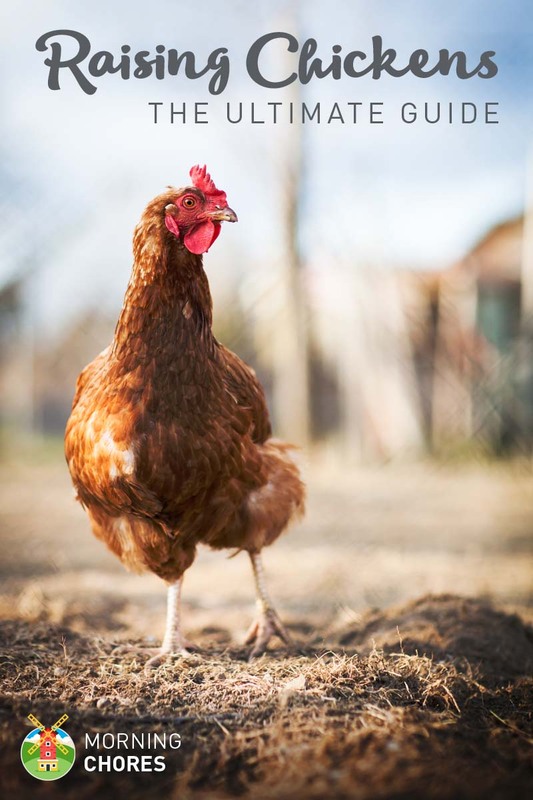 Chickens require a covered area to stay dry, fresh water, and a place to nest and lay their eggs. Chickens will eat almost anything. 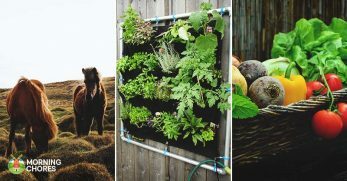 You can feed them compost, weeds, leftovers from the garden, or store bought feed. 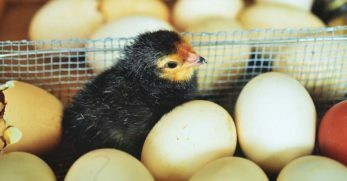 Breed will depend upon how many eggs you will get a day and will also determine their temperament. 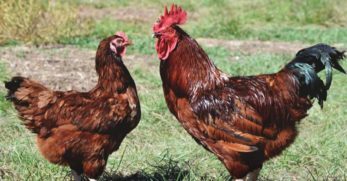 They are susceptible to predators such as hawks as well but having good fencing around their coop and a good rooster will help in protecting your hens. 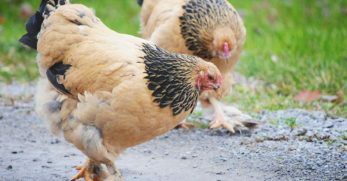 Chickens are also susceptible to illness. 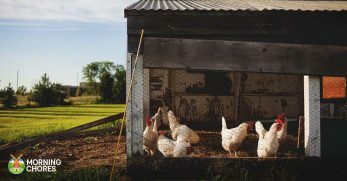 Cleanliness in their coop must be a priority in order to keep healthy chickens. Where chickens roost in such tight quarters and have weak respiratory systems, if one falls ill usually they all will. You must also be aware of using proper bedding in order to deter lice and mites. 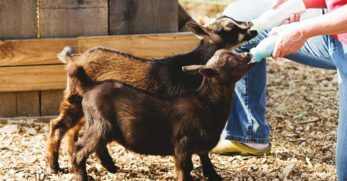 Goats are a magnificent animal to keep on your homestead. They are great at clearing brush, a meat source, and also great for dairy. If you are looking for a dairy source but don’t have a lot of acreages a goat is the way to go. 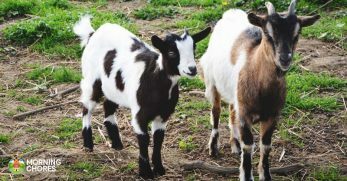 Nigerian Dwarf goats can produce anywhere from a ½-1 gallon of milk per day. 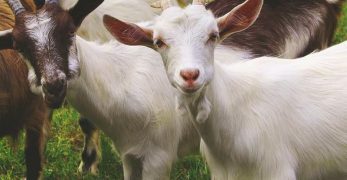 Goat milk is actually easier to digest than cow’s milk and a Nigerian Dwarf normally only weighs about 75 pounds so they are much more feasible in a smaller space. Goats will feed on shrubbery and wood. They love hay, vegetables, and also store bought feed. Some choose to leave their goats out to pasture. If your goats are in a smaller space it is good to give them a covered place to stay dry when it rains. They will appreciate it. Goats are very susceptible to illness. When a goat has a stomach issue it can be a matter of life or death in only a few hours. It is important to worm them a few times a year. You can choose to use store-bought medication or feed them pumpkin or pine trees. If you notice they have a stomach problem start treating them immediately. Goats are also escape artists. 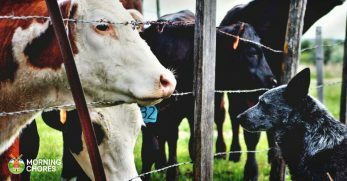 The only true way to keep them fenced in is to keep them happy. They are social animals so it is important to have more than one. If you keep them well fed and give them a buddy, they should stay happy and want to stay right where they are. 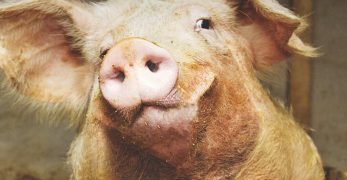 Pigs have a bad reputation for smell and messiness. In reality, pigs are clean animals. 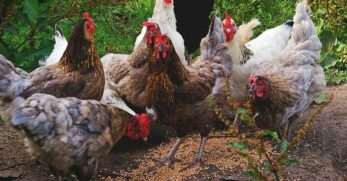 If you have the land available to allow them to free range then your feeding expense will be a lot lower. The smell factor will also not be an issue because the more you move them the less they smell. 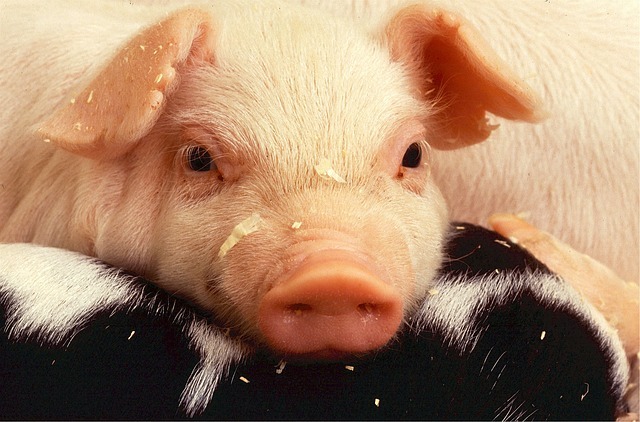 When pigs have babies their litters can often consist of as many as 11 piglets. They are obviously a great meat source, but you must raise the babies for a year to get an adequate amount of meat from them. They eat compost, corn, other grains, milk, bread, fodder, and practically anything else you feed them. However, being such large animals they do require a lot of food which can get expensive if they are not free ranged. They require a pin with strong fencing. They are very strong animals and can escape if they put their mind to it. Cows are a large animal and, therefore, require a large amount of space. One cow needs around an acre to graze. You must technically have at least 2 acres for it so you can rotate pastures. They are a great source for milk and meat. However, because of the amount of space they take up, it is fair to say that a cow is not right for everyone. There is also a lot of danger to owning a cow. They are a large animal and can seriously injure you if you are not accustomed to handling them. They need a large water source, a barn for winter with a large supply of hay to keep them fed, and shade for hot summer days while they are out in the pasture. While most people somehow do not consider raising honeybees on their homestead. They're actually magnificent creatures and require very little maintenance. You need hive boxes to get started and a small water source where they can rest and drink. 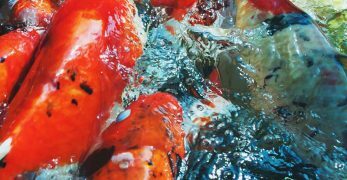 Their water source can be a bird bath with little rocks in it to keep them from drowning or something as large as a pond. The best thing about bees is you can get them for free! They swarm a lot in the spring and are very gentle when they do. You will need a bee suit, gloves, and some sugar water to catch them but once you do, you have a free hive. Hive boxes do have feeders on top that you fill with a mixture of 5 pounds of sugar watered down. 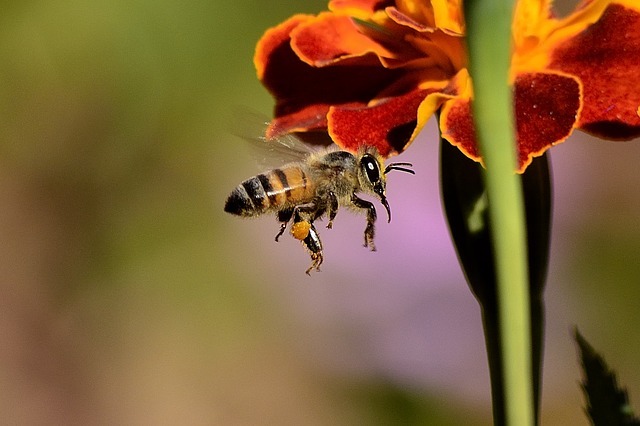 However, bees travel up to a 5-10 mile radius to collect food so they usually do not depend on the feeder. Bees are not vicious animals to keep. If you place their hives off of the beaten path you won’t even realize you are keeping them. The obvious perk of keeping bees is the honey. 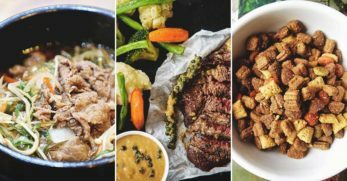 You always have to leave them a little in the event that they need it as a food source, but the majority of it is all yours and it is delicious! 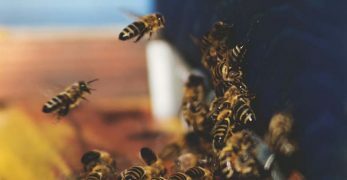 Bees do have upfront costs like hive boxes, bee suits, etc. but the initial investment is worth the experience of raising bees and having honey on tap in your backyard. Raising animals on a homestead is always exciting. It is an opportunity to learn and to harvest your own food right in your backyard.